Hasraf ‘HaZ’ Dulull is a writer, director, producer based in London, who started out as a Visual Effects artist on feature films such as The Dark Knight and Prince of Persia, before moving into a VFX Supervisor role where he was nominated for several VES awards for shows such as Planet Dinosaur (BBC) and America The Story of US (Discovery). Creativity and intelligent production approach led him to become a VFX producer in programs such as Poldark Season 1 and The Aliens on Channel 4. In between VFX he would create short films, one of them – Project Kronos went viral in 2013 landing him a manager in Hollywood and his first feature film development deal with Benderspink as well as development assignments with Paramount 20th Century Fox. Since then has completed two other short films – IRIS a SYNC both tapping into his love for grounded science fiction and serving as proof of concepts for feature films he has developed. 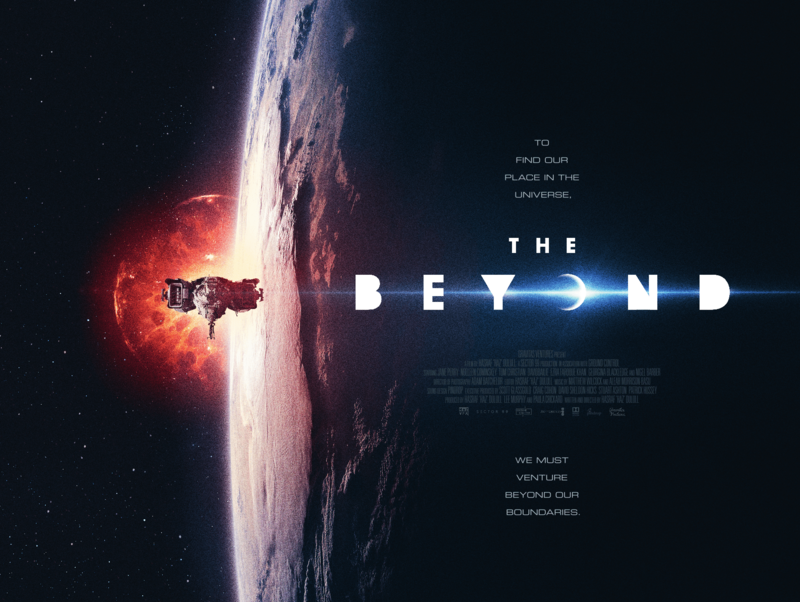 HaZ presents his first feature film THE BEYOND, which he also wrote and produced, distributed by Gravitas Ventures in January 2018 on all digital platforms. HaZ is co-founders of his high concept production company HaZ Film with producer Paula Crickard. He is represented by APA & Ground Control Entertainment for Feature film and TV. I read many scientific journals and blogs to find inspiration, and thus create science fiction stories as credible as possible. Also, I look at fellow artist friends work for inspiration on design etc, one friend is David Sheldon and Andrew Popplestone at Territory Studios, who I was a big fan of their work and ended up hiring them for my second feature film – Origin Unknown. I use a MacBook Pro, Maya and Adobe CC software and Blackmagic Resolve 14. I think outside the box creatively and technically to achieve the vision of my projects on a very tight budget and schedule, from that reputation I landed a TV series with Disney this year as a director on the first 2 episodes and the last 2 episodes (season finale) of FAST LAYNE (scheduled to air in September 2018). My short films were all self-financed and lead me to produce my feature films. I am hoping my journey would inspire other VFX artists. To turn their hands into filmmaking / directing to tell their stories too.